World Wide Waftage - Wafting Through Our World Wide Travels with Ease, Joy and Simplicity: Pilot whales stranded on New Zealand beach...The kindness of humanity prevails...One year ago, quite a predicament.. Pilot whales stranded on New Zealand beach...The kindness of humanity prevails...One year ago, quite a predicament.. 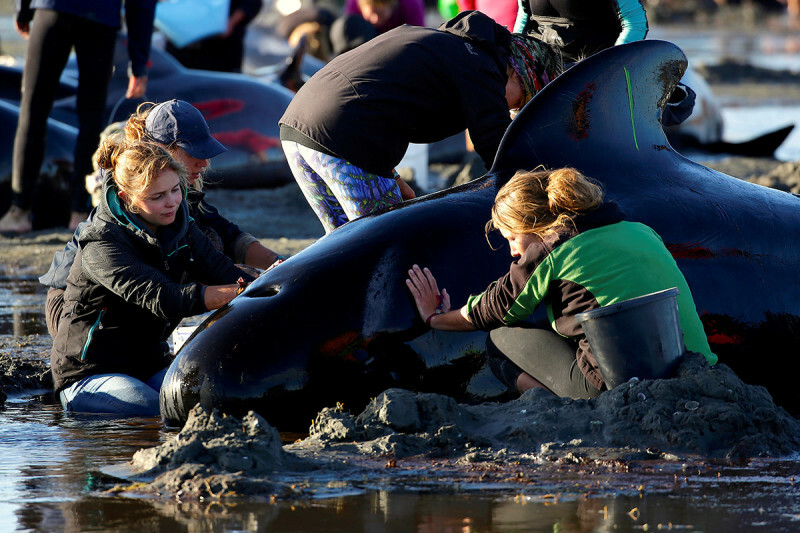 Volunteers working hard to save some of the pilot whales that were stranded in Farewell Spit in New Zealand. (Not our photo). We continually hear of all the horrible things happening in the world. It only takes a sorrowful event to remind us how humans rally for one another and for wildlife in times of need and sorrow. 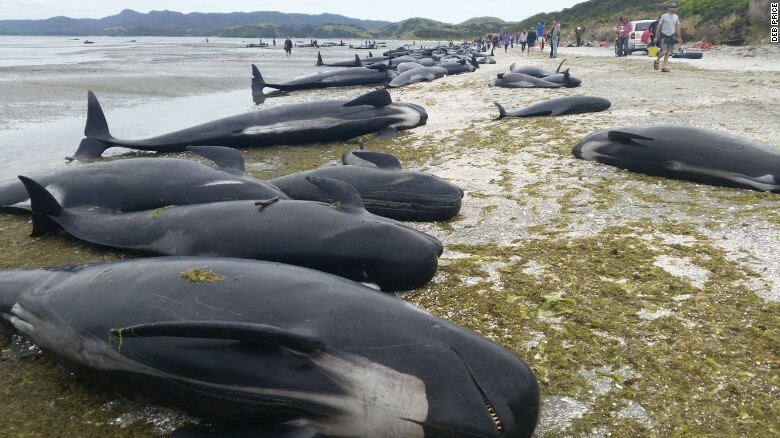 So has been the case over the past few days when more than 400 pilot whales were stranded in shallow water in Farewell Spit on New Zealand's South Island. Volunteers including locals in this small community and visitors from all over the country traveled to this distant location to aid the surviving whales back out to sea. Apparently, over 300 whales died during the stranding. In the wake of this disaster for reasons unknown by the scientific community, many assume its some type of mass suicide. But that seems unlikely, doesn't it? Its in our nature as humans and animals to survive the elements and, life itself. A mass suicide sounds more like a conspiracy theory spurred on by sensationalism-seeking-media when it might make a more "enticing" story. Hundreds of whales stranded on the beach. (Not our photo). Bottom line, for whatever unknown reasons this massive event transpired, hundreds of concerned volunteers made their way to the beach to aid in an often futile attempt to save as many as possible. According to records, this event has transpired in this same location over the years and occurs in other parts of the world from time to time. There are endless theories on why these sad events occur but none is definitive. After researching multiple news reports on this event, many varying in the story in one manner or another (duh! ), I found this more scientific article that may shed some light on the topic. Please click here for details. Certainly, I'm no wildlife (or sea life) expert but wouldn't it make sense that since whales and dolphins tend to swim in pods, it may be a navigational error or misjudgment. Huge team of rescuers gather for instructions as to how to aid the whales. Click here for the rest of this story from NZ media source. (Not our photo). Not even the most sophisticated navigational systems marine life can possess are immune from making bad decisions or, in getting caught in a bad scenario such as the low tide anomalies of this area and other areas where this occurs repeatedly throughout the world. Like humans, wildlife is hardly exempt from becoming entrenched in precarious situations over which they have little or no control. Perhaps, this is the case with these whales in this area when this event has transpired over and over throughout the years. The theory that they're all sick and dying sounds peculiar as well. Surely, in any large group of living beings, some will always be sick and dying. Whales and dolphin tend to "follow the pack" and may have become caught up in following a lesser numbers who were injured, caught in nets, sick and dying and choose to beach themselves when they can no longer swim. In any case, my opinions are irrelevant. The facts remain that this is a sad situation over which us humans have little opportunity or willingness to change. 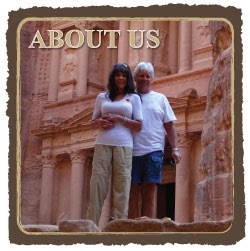 Its human existence on the earth here again, over which we have little control. Surely, these events have occurred since the beginning of life on our planet. We'll continue to stay updated on the progress of these dedicated rescuers and the outcome for the remaining precious animals. Human or animal, we all have the right to a place in this world and must rally for one another in times of need. Ironically, one year ago (after today's whale story in NZ), we were living on an alpaca farm in NZ when this situation occurred in the paddock in the backyard. Luckily, it turned out OK for the alpacas. We laughed over this once we realized they were both doing well after they figured out how to untangle themselves. For more on this story, please click here.